Winter is already here, and we’ve found the perfect place for Game of Thrones fans to hide out in until the summer. As production begins on the eighth (and final) season of Game of Thrones, there seems to be no escape from Westeros and The Seven Kingdoms. We recently told you about the exclusive stamp collection that has been released to mark the contribution Britain has played to the show, and now we can tell you all about this spectacular ice and snow hotel in Finland. 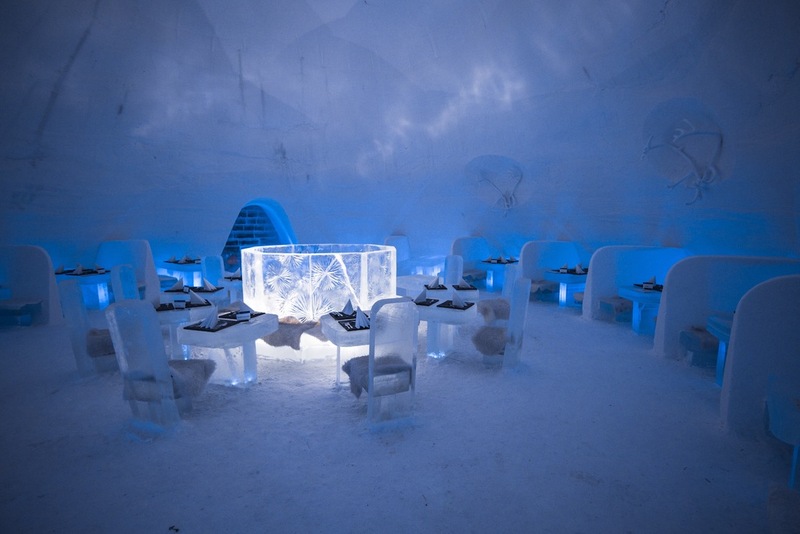 HBO Nordic has got together with Lapland Hotels SnowVillage to create a themed version of their annual Snow Hotel. Made entirely of snow and ice, the Game of Thrones hotel is located in Lapland… so not quite north of the wall, but close enough. This is the 17th year that guests will be able to stay in the ice structure, only this time the interior corridors and rooms will be guarded by characters from the show. 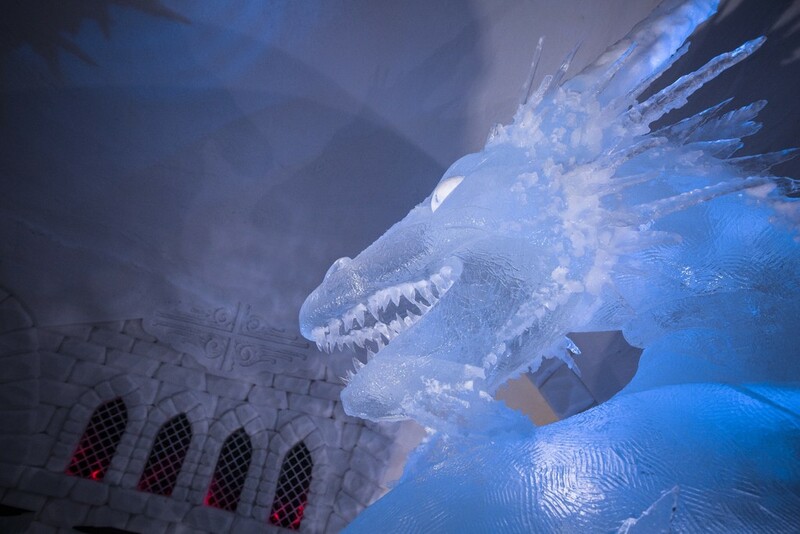 The hotel only took one month to build and was crafted by an international crew of ice sculptors. The location is actually more than 100 miles into the Arctic Circle in Kittilä, which is about a 90-minute flight from Helsinki. To keep things just as they should be, the structure remains at a temperature of 23 degrees Fahrenheit (–5 degrees Celsius). Most visitors just decide to have a look at the snow and ice hotel, but some wildlings actually decide to stay the night. Due to the extreme temperatures, however, it is advised that guests book for one night only. For longer stays, there are plenty of comfortable cabins nearby to enjoy a more luxurious experience. The creators of the hotel have clearly thought of every eventuality. There is a chapel (where dozens of weddings are held every year), a movie theatre and a restaurant that serves reindeer… sadly, we couldn’t find any dragon on the menu. 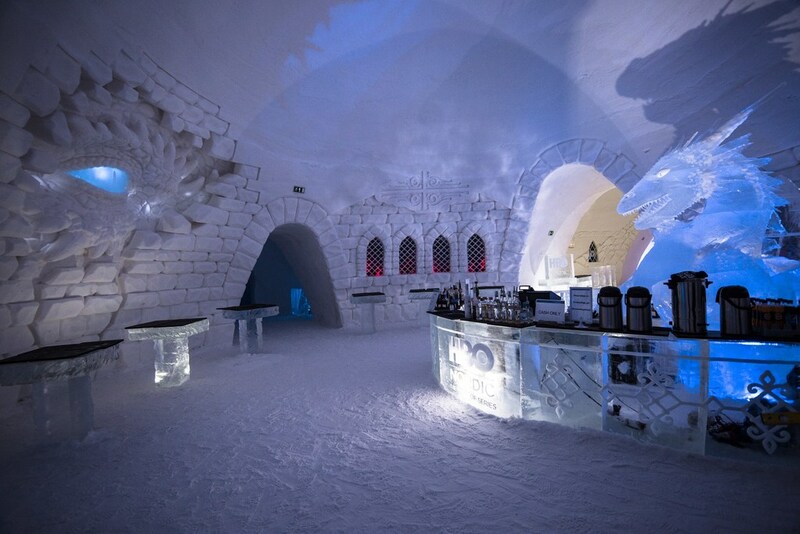 There’s also an Ice Bar, where every drink is presumably served on the rocks. 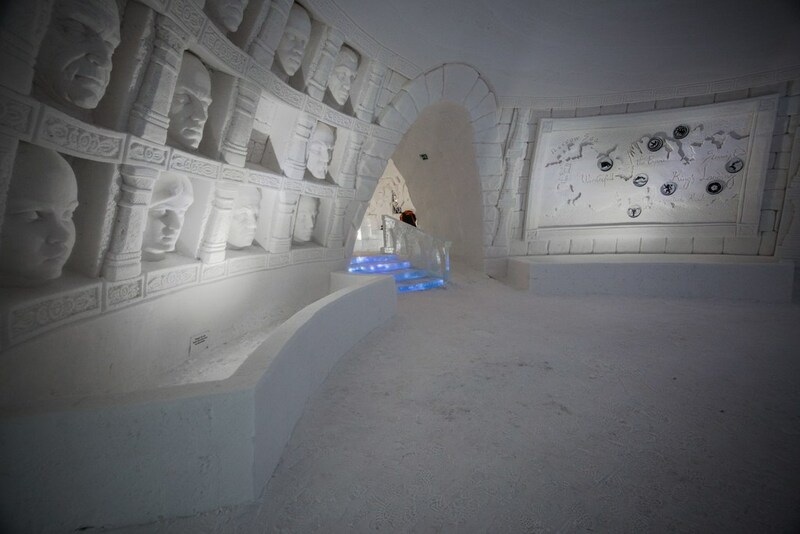 Entry to the SnowVillage is $18 (£13.30/€15) and rooms start from $200 (£148/€165). The Snow Hotel is now open, and can be booked in advance until April 8 2018.